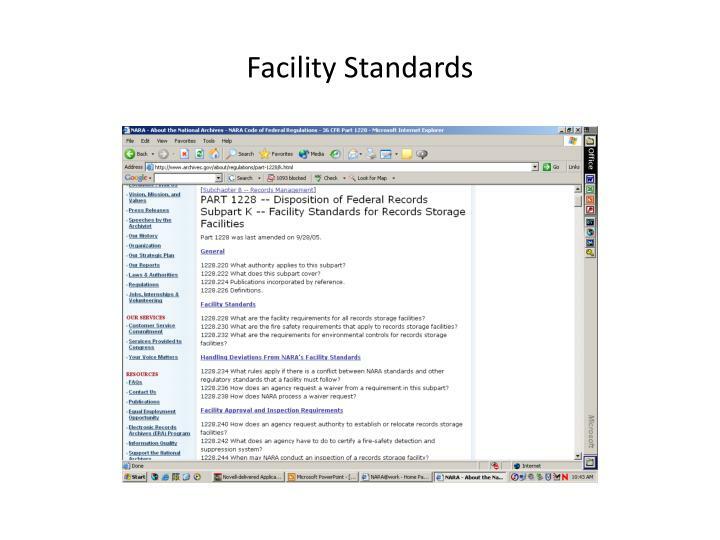 Facility Standards for Federal Records Storage Facilities. 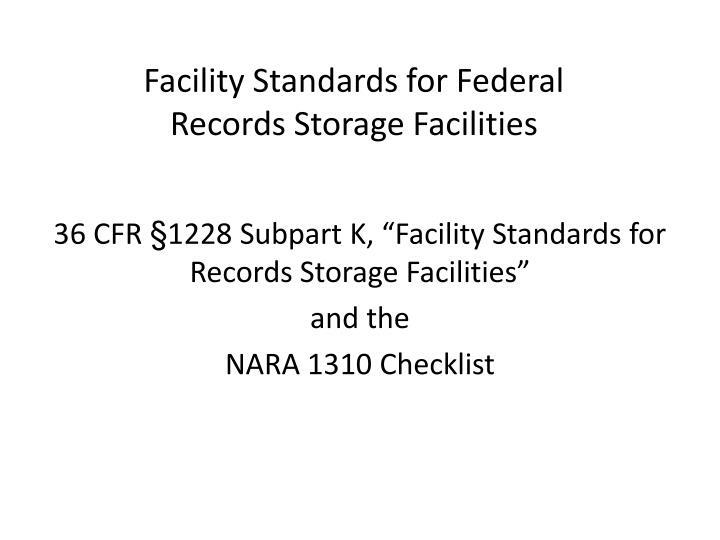 36 CFR §1228 Subpart K, “Facility Standards for Records Storage Facilities” and the NARA 1310 Checklist. 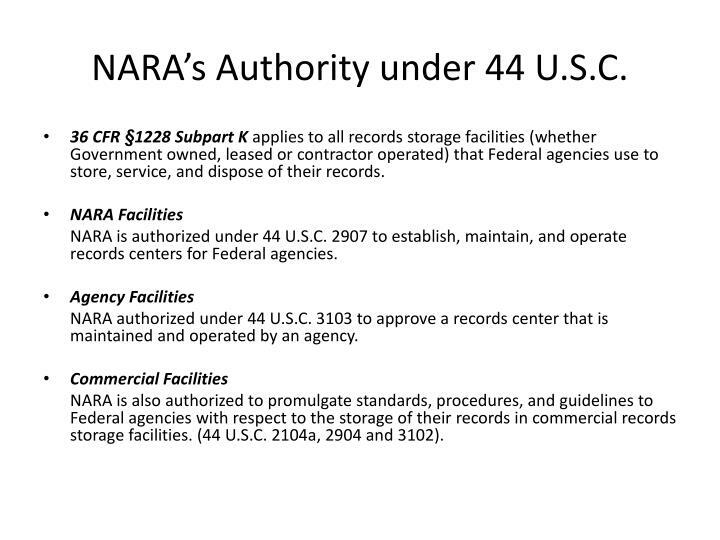 NARA’s Authority under 44 U.S.C. 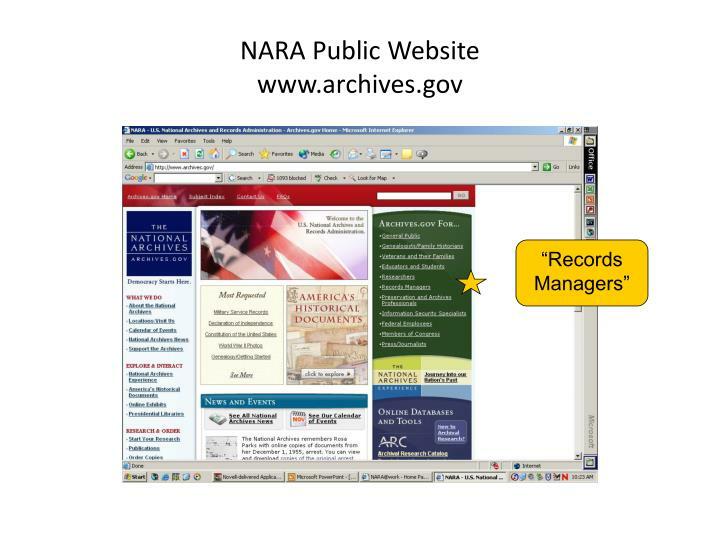 NARA’s Authority under 44 U.S.C. 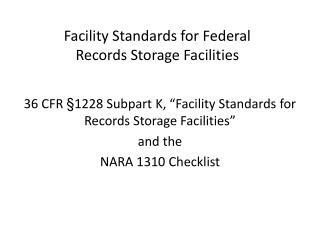 36 CFR §1228 Subpart K applies to all records storage facilities (whether Government owned, leased or contractor operated) that Federal agencies use to store, service, and dispose of their records. 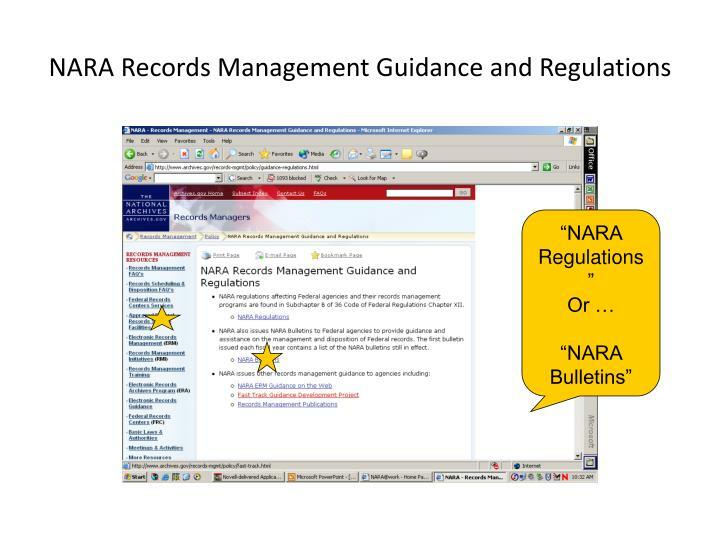 NARA is authorized under 44 U.S.C. 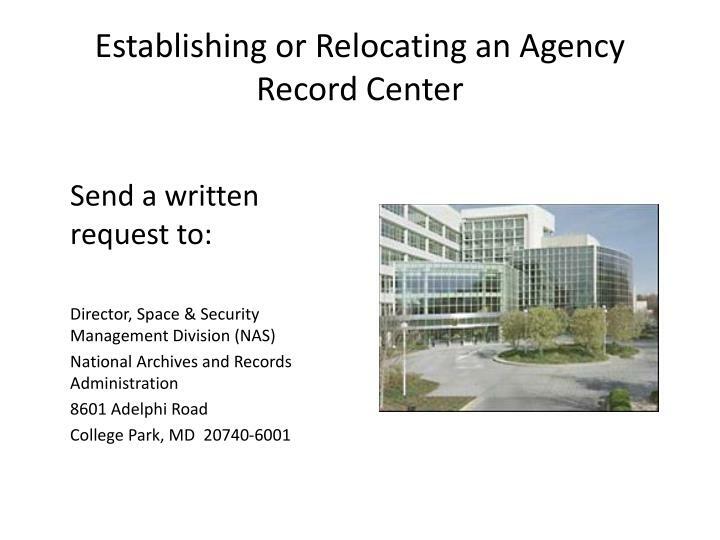 2907 to establish, maintain, and operate records centers for Federal agencies. 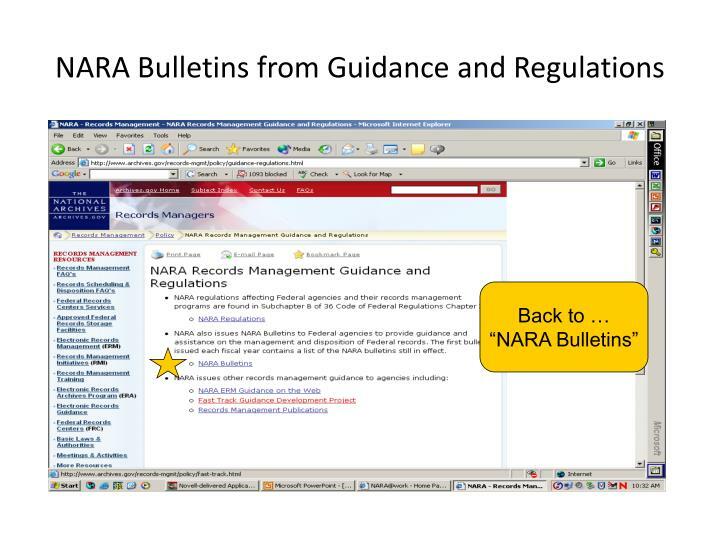 NARA authorized under 44 U.S.C. 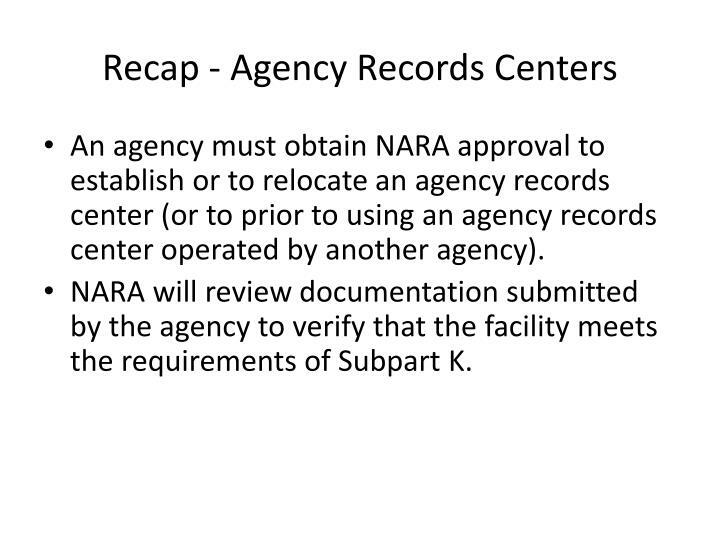 3103 to approve a records center that is maintained and operated by an agency. 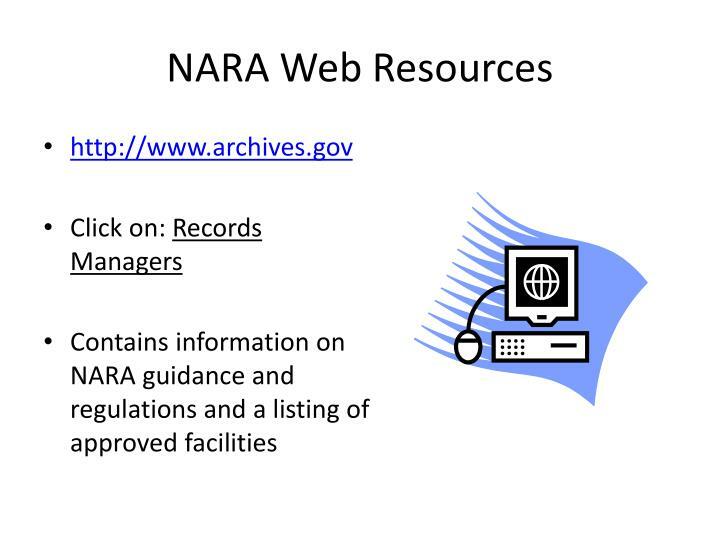 NARA is also authorized to promulgate standards, procedures, and guidelines to Federal agencies with respect to the storage of their records in commercial records storage facilities. (44 U.S.C. 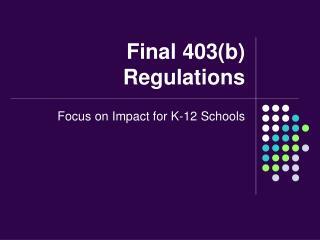 2104a, 2904 and 3102). 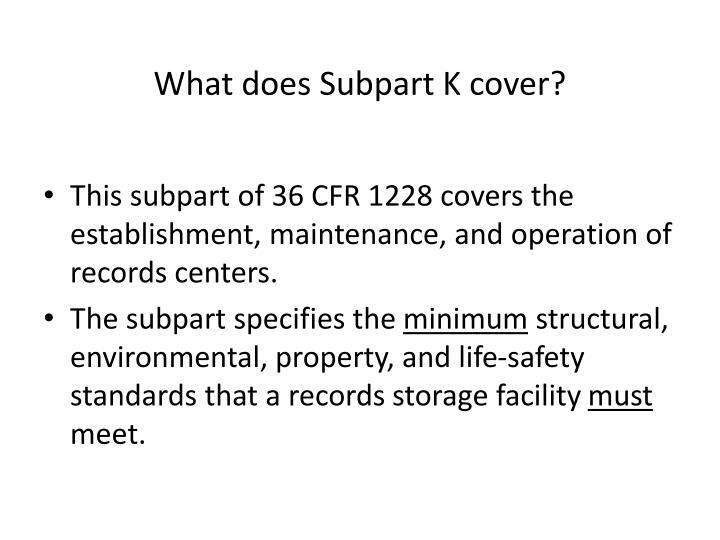 What does Subpart K cover? 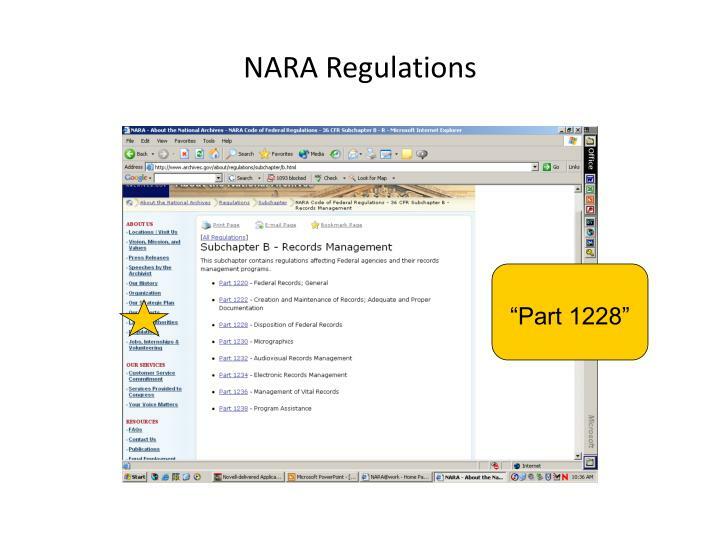 This subpart of 36 CFR 1228 covers the establishment, maintenance, and operation of records centers. 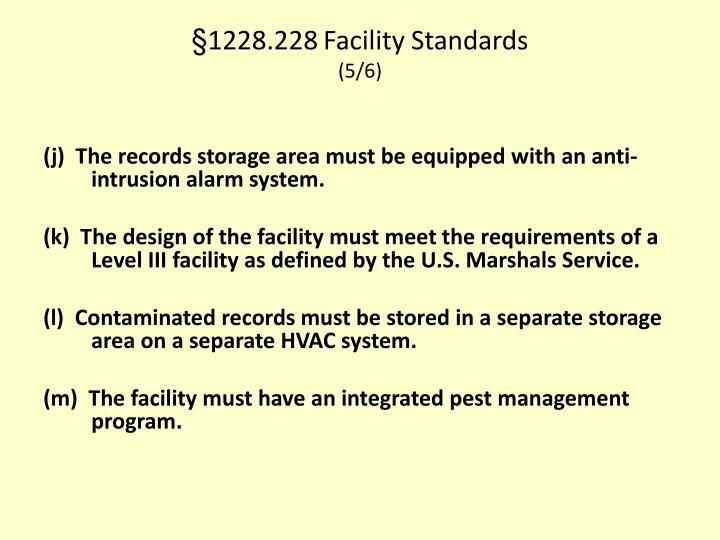 The subpart specifies the minimum structural, environmental, property, and life-safety standards that a records storage facility must meet. 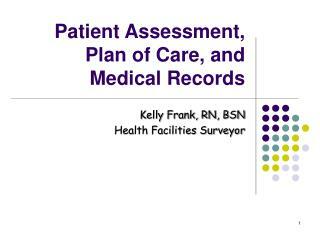 What are the facility requirements for all records storage facilities? 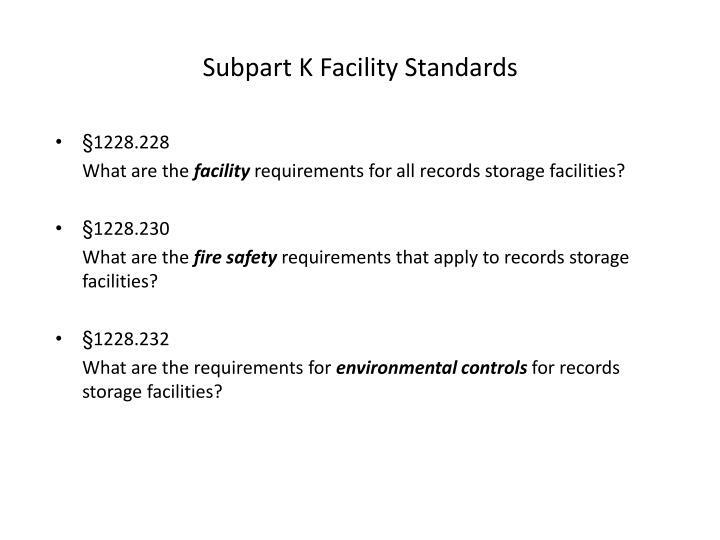 What are the fire safety requirements that apply to records storage facilities? 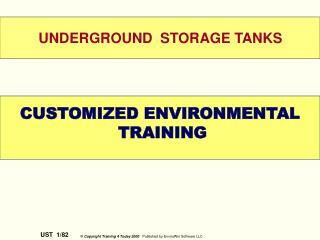 What are the requirements for environmental controls for records storage facilities? 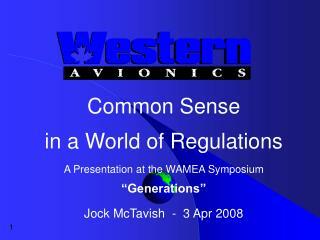 (a) Must be constructed with non-combustible materials (walls, columns and floors). 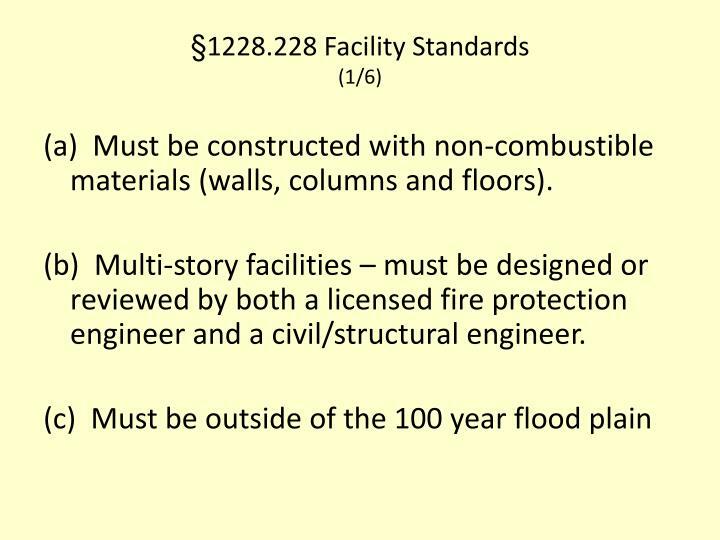 (b) Multi-story facilities – must be designed or reviewed by both a licensed fire protection engineer and a civil/structural engineer. 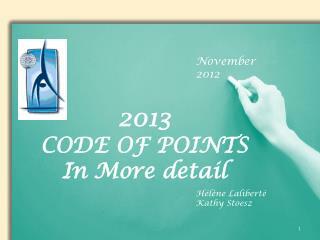 (d) The facility must be designed in accordance with all applicable codes. 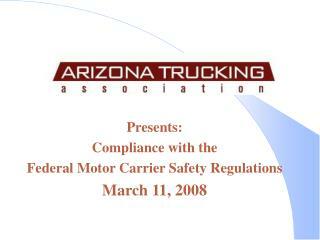 (e) There must be unrestricted emergency vehicle access provided to the facility. 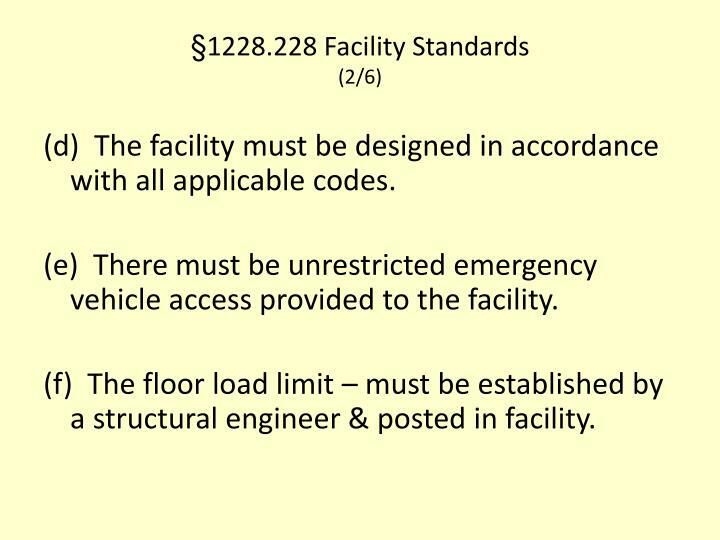 (f) The floor load limit – must be established by a structural engineer & posted in facility. 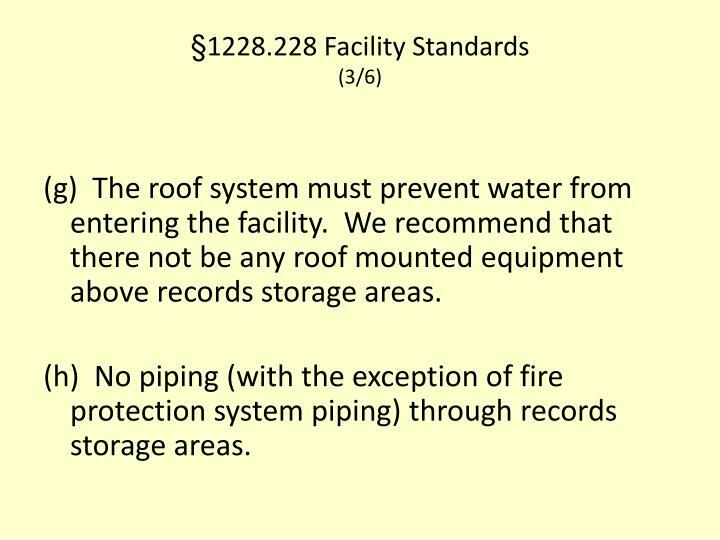 (g) The roof system must prevent water from entering the facility. 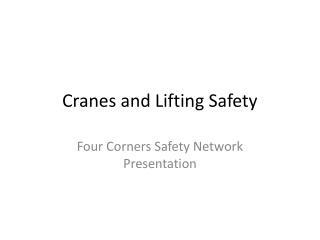 We recommend that there not be any roof mounted equipment above records storage areas. (h) No piping (with the exception of fire protection system piping) through records storage areas. 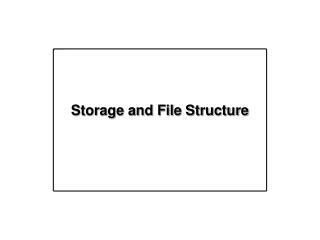 (i) Records Storage and Racking Systems. Provide seismic bracing to meet applicable codes. Designed to prevent collapse under full load. If compact mobile shelving is used, there are specific requirements related to air circulation & fire-protection. 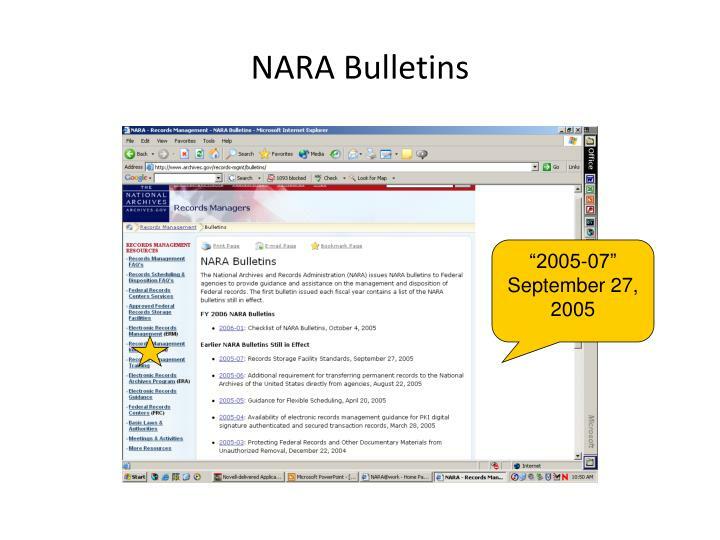 Contact NARA. (j) The records storage area must be equipped with an anti-intrusion alarm system. 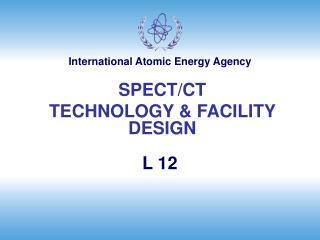 (k) The design of the facility must meet the requirements of a Level III facility as defined by the U.S. Marshals Service. 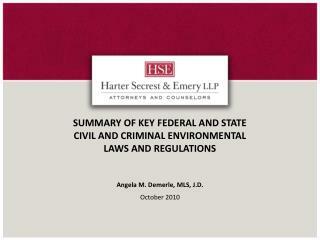 (l) Contaminated records must be stored in a separate storage area on a separate HVAC system. 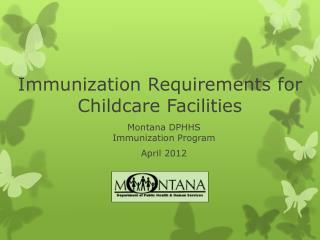 (m) The facility must have an integrated pest management program. No motors over 1 HP in records storage areas. 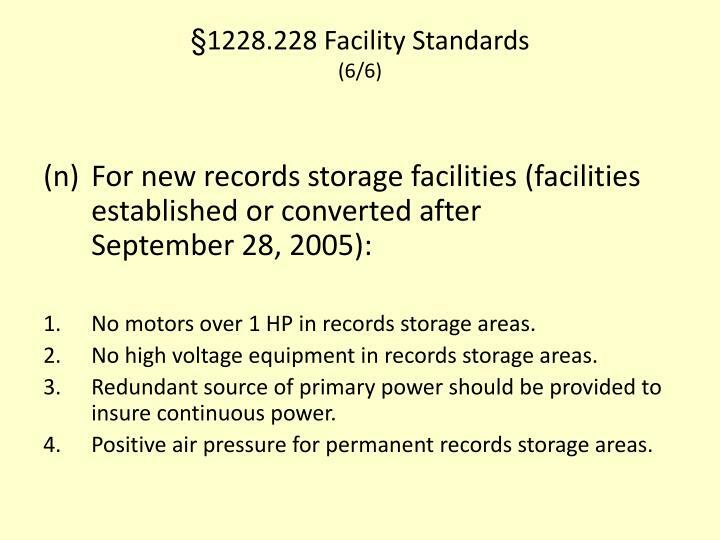 No high voltage equipment in records storage areas. 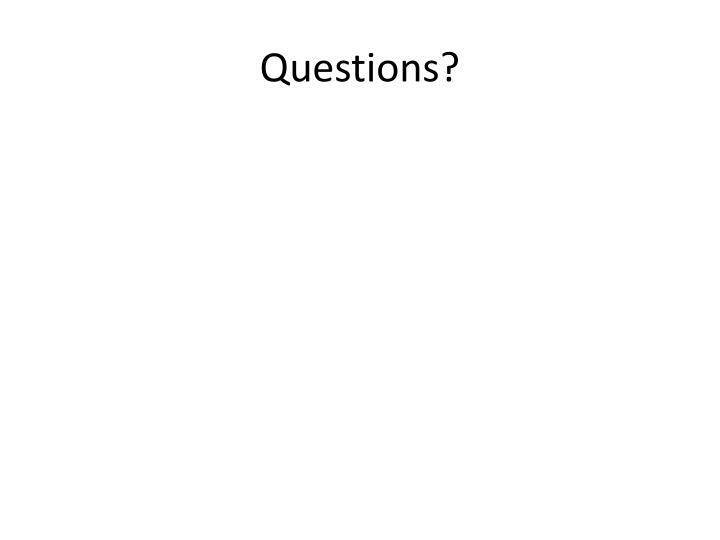 Redundant source of primary power should be provided to insure continuous power. Positive air pressure for permanent records storage areas. 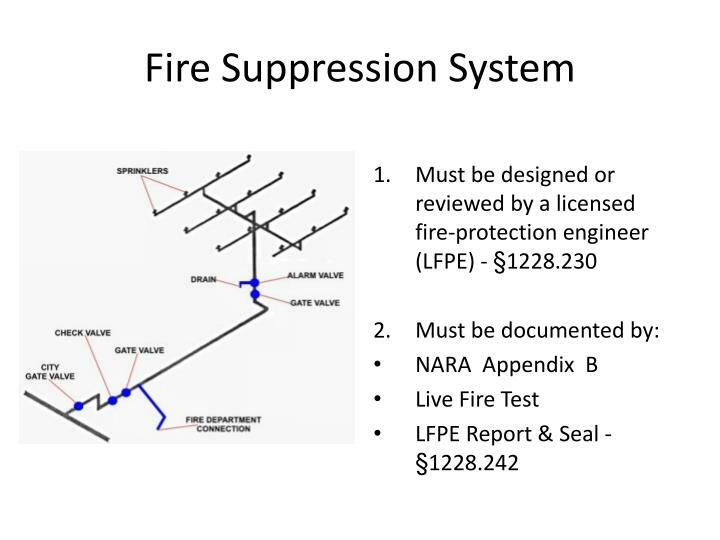 Fire detection & suppression designed or reviewed by a licensed fire protection engineer. 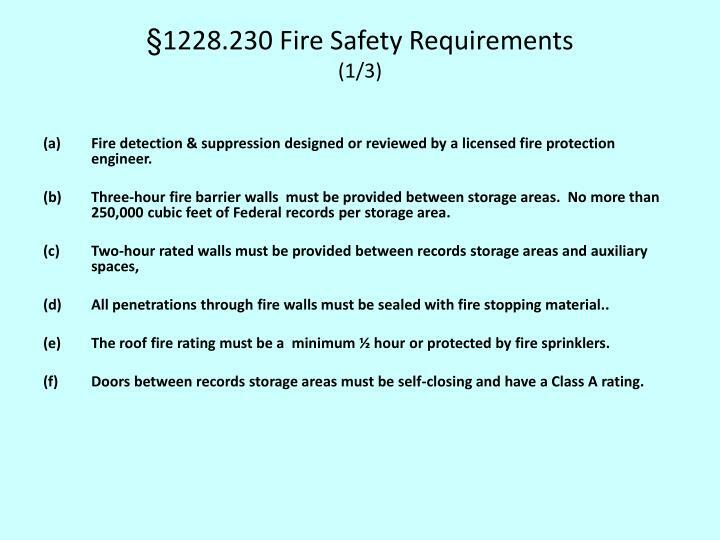 Three-hour fire barrier walls must be provided between storage areas. 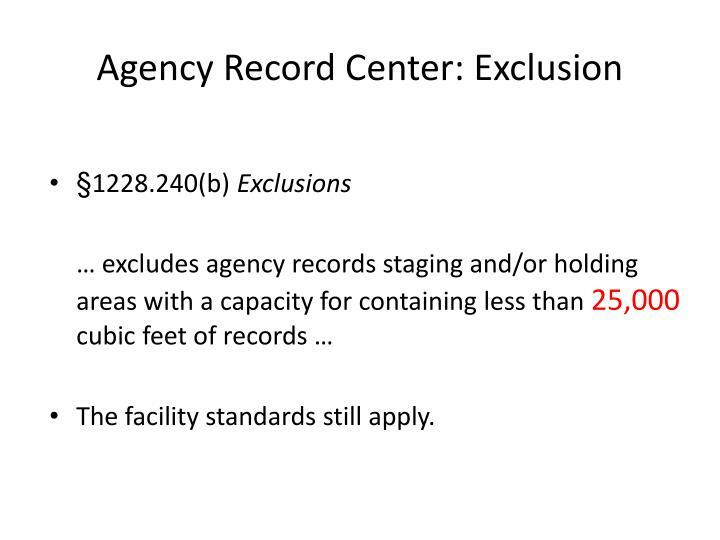 No more than 250,000 cubic feet of Federal records per storage area. All penetrations through fire walls must be sealed with fire stopping material.. The roof fire rating must be a minimum ½ hour or protected by fire sprinklers. (f)	Doors between records storage areas must be self-closing and have a Class A rating. 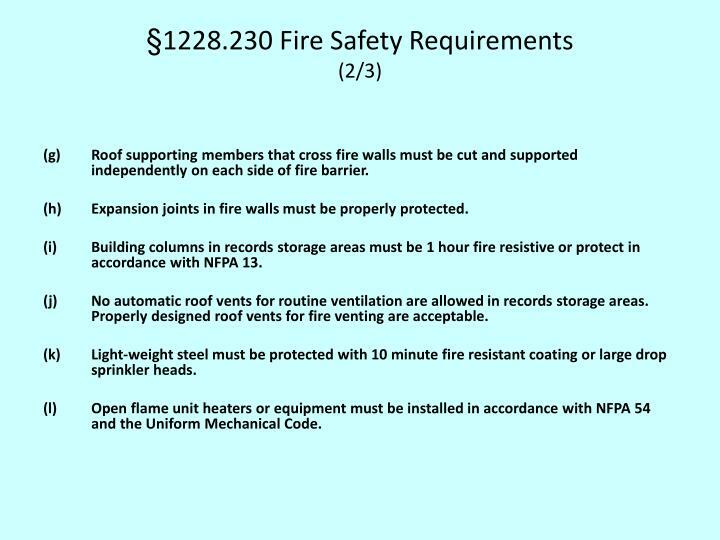 (g)	Roof supporting members that cross fire walls must be cut and supported independently on each side of fire barrier. (h)	Expansion joints in fire walls must be properly protected. 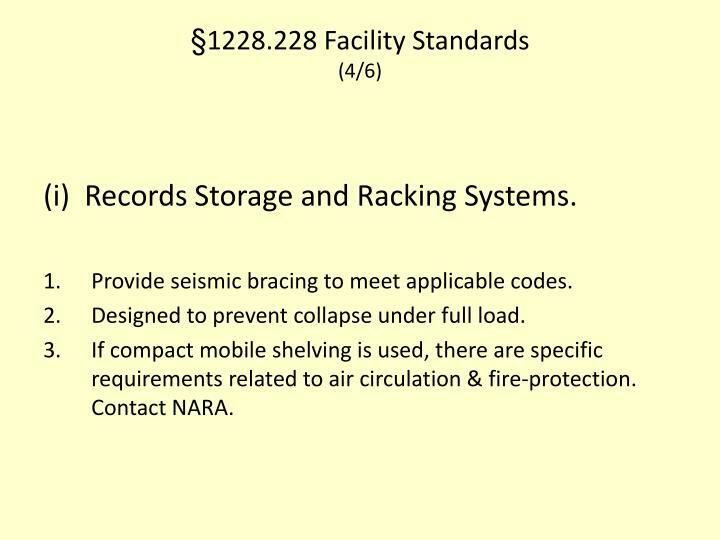 (i)	Building columns in records storage areas must be 1 hour fire resistive or protect in accordance with NFPA 13. (j)	No automatic roof vents for routine ventilation are allowed in records storage areas. Properly designed roof vents for fire venting are acceptable. (k)	Light-weight steel must be protected with 10 minute fire resistant coating or large drop sprinkler heads. 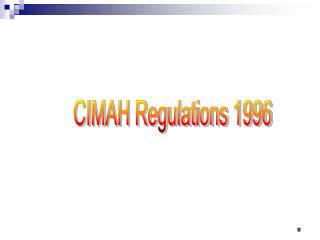 (l)	Open flame unit heaters or equipment must be installed in accordance with NFPA 54 and the Uniform Mechanical Code. 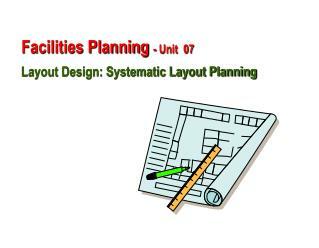 (m)	Existing facilities – two-hour fire barrier wall separation with no openings between records storage areas and boiler rooms or rooms with fuel supplies (generator rooms). 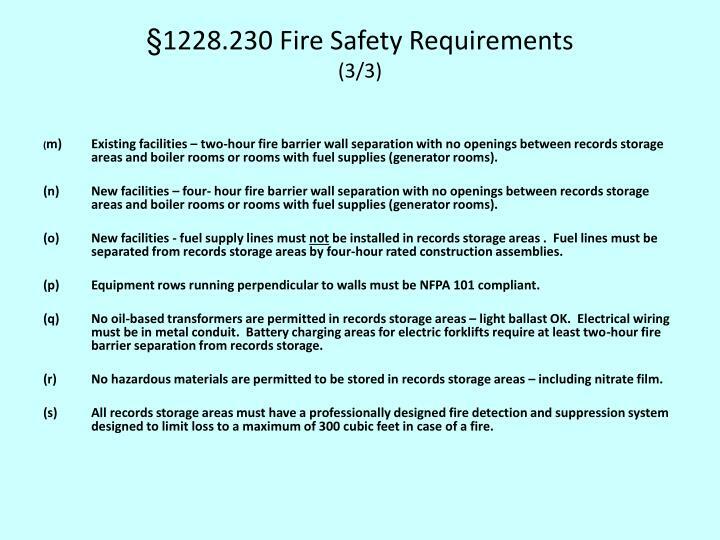 (n)	New facilities – four- hour fire barrier wall separation with no openings between records storage areas and boiler rooms or rooms with fuel supplies (generator rooms). 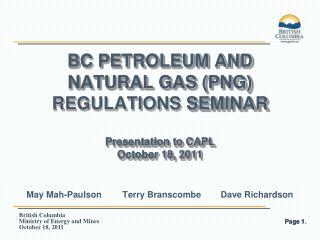 (o)	New facilities - fuel supply lines must not be installed in records storage areas . Fuel lines must be separated from records storage areas by four-hour rated construction assemblies. (p)	Equipment rows running perpendicular to walls must be NFPA 101 compliant. (q)	No oil-based transformers are permitted in records storage areas – light ballast OK. Electrical wiring must be in metal conduit. Battery charging areas for electric forklifts require at least two-hour fire barrier separation from records storage. 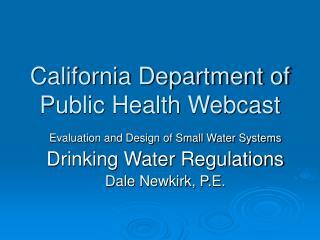 No hazardous materials are permitted to be stored in records storage areas – including nitrate film. 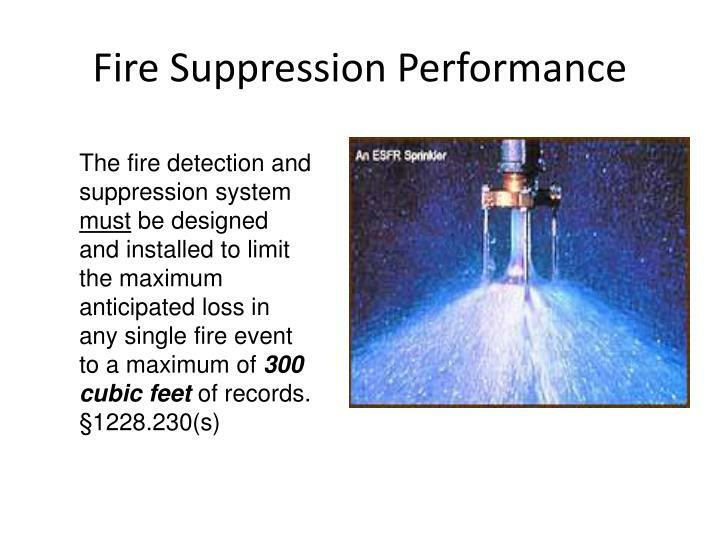 (s)	All records storage areas must have a professionally designed fire detection and suppression system designed to limit loss to a maximum of 300 cubic feet in case of a fire. 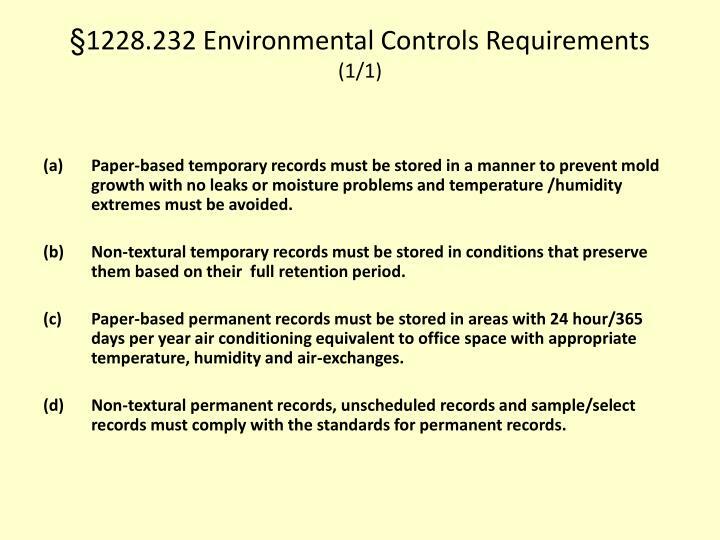 (a)	Paper-based temporary records must be stored in a manner to prevent mold growth with no leaks or moisture problems and temperature /humidity extremes must be avoided. 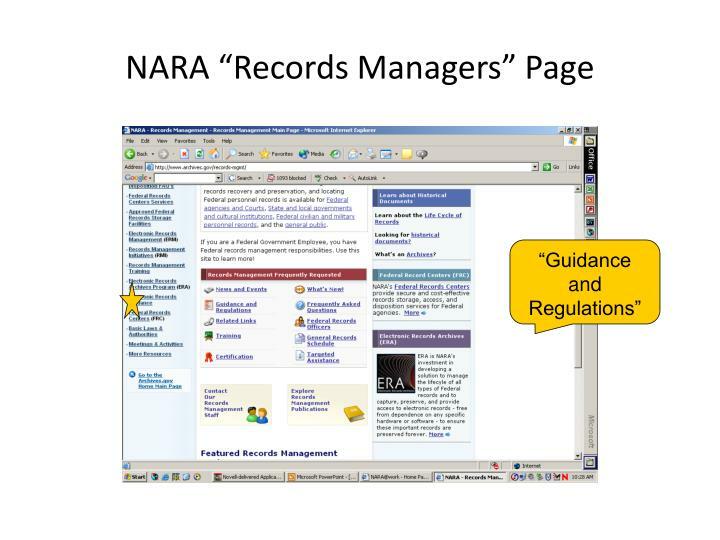 (b)	Non-textural temporary records must be stored in conditions that preserve them based on their full retention period. (c)	Paper-based permanent records must be stored in areas with 24 hour/365 days per year air conditioning equivalent to office space with appropriate temperature, humidity and air-exchanges. 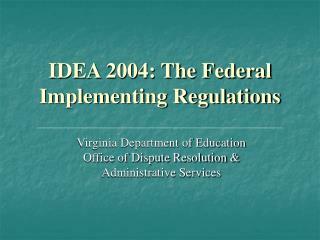 (d)	Non-textural permanent records, unscheduled records and sample/select records must comply with the standards for permanent records. 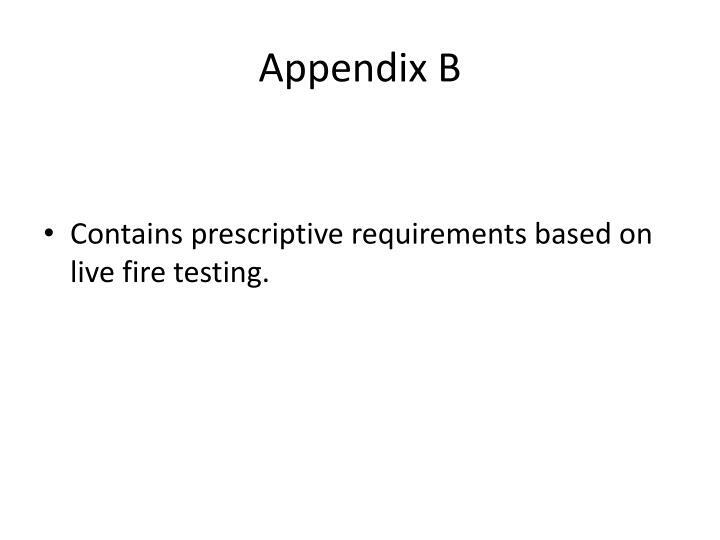 Contains prescriptive requirements based on live fire testing. Temporary or Permanent? 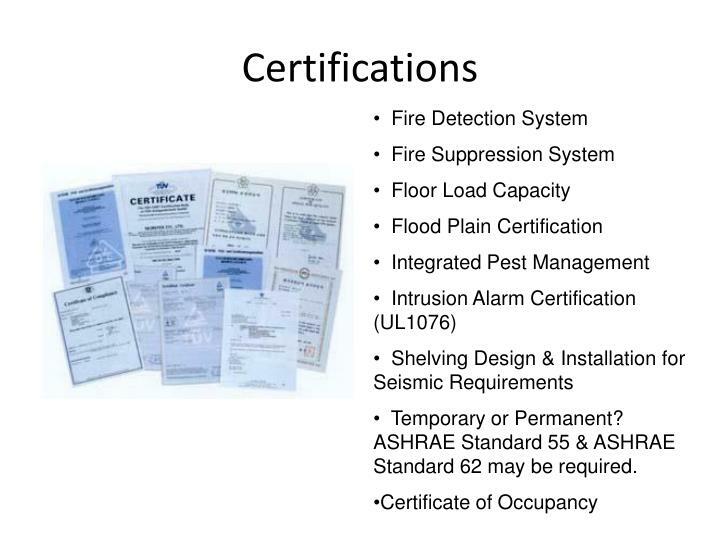 ASHRAE Standard 55 & ASHRAE Standard 62 may be required. The facility standards still apply. 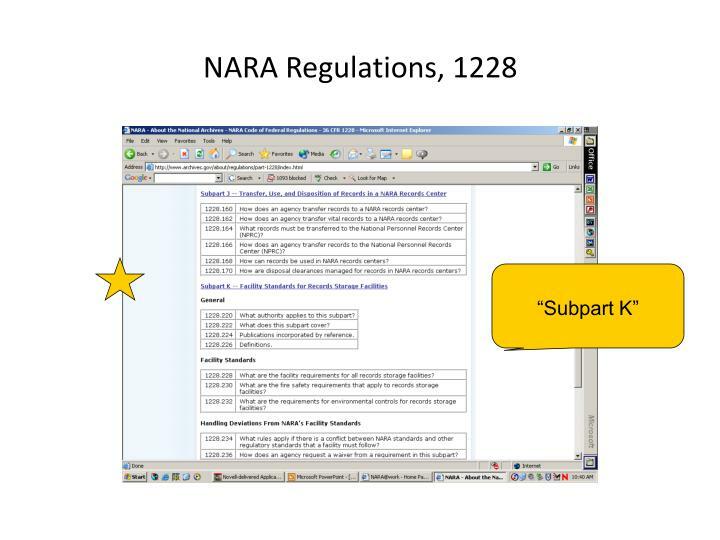 The agency must certify that the facility meets the requirements of 36 CFR 1228, Subpart K.
Submit documentation to NARA that the facility complies with the Standards. 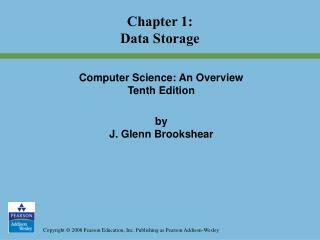 Reference the standards in storage/service contract. Must insure that NARA has the right to inspect the facility. 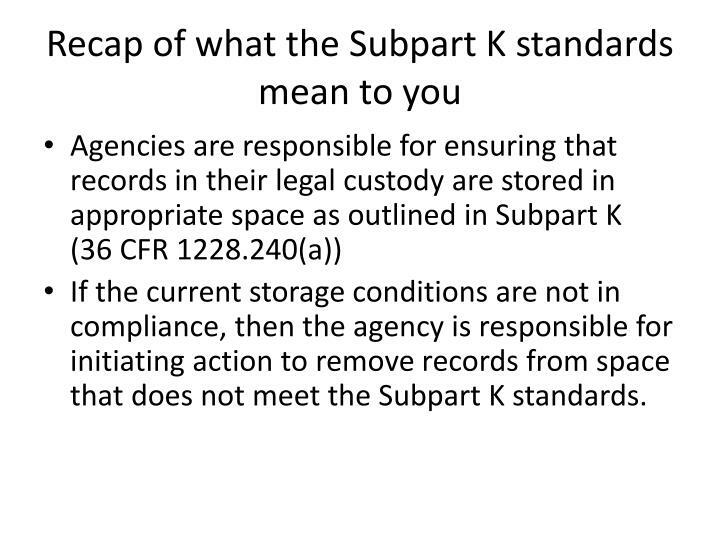 If the current storage conditions are not in compliance, then the agency is responsible for initiating action to remove records from space that does not meet the Subpart K standards. 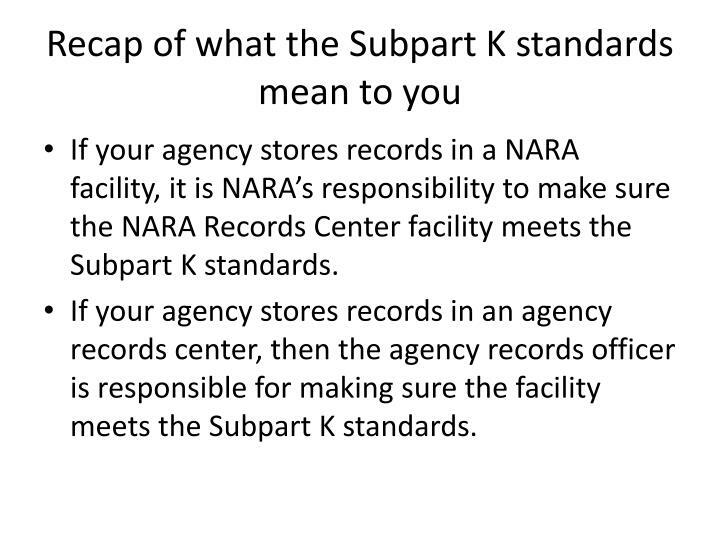 If your agency stores records in a NARA facility, it is NARA’s responsibility to make sure the NARA Records Center facility meets the Subpart K standards. 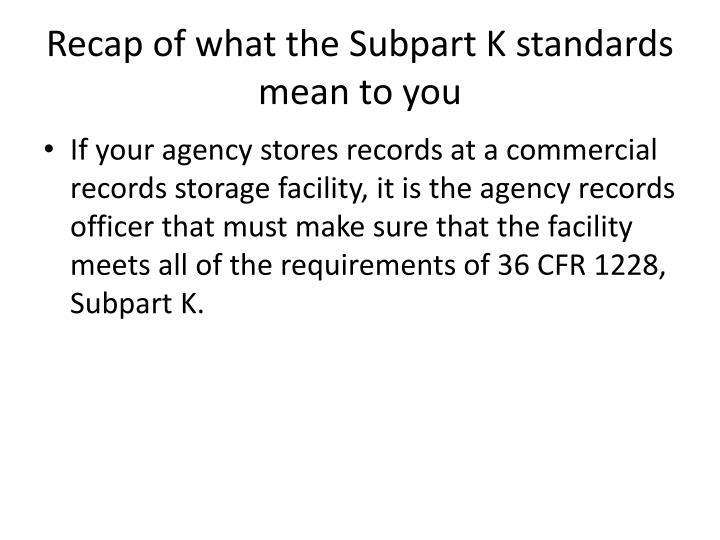 If your agency stores records in an agency records center, then the agency records officer is responsible for making sure the facility meets the Subpart K standards. 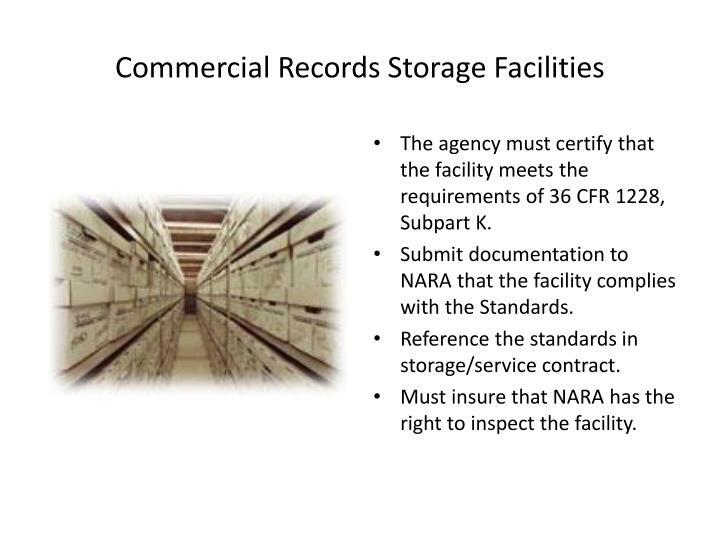 If your agency stores records at a commercial records storage facility, it is the agency records officer that must make sure that the facility meets all of the requirements of 36 CFR 1228, Subpart K.
An agency must obtain NARA approval to establish or to relocate an agency records center (or to prior to using an agency records center operated by another agency). 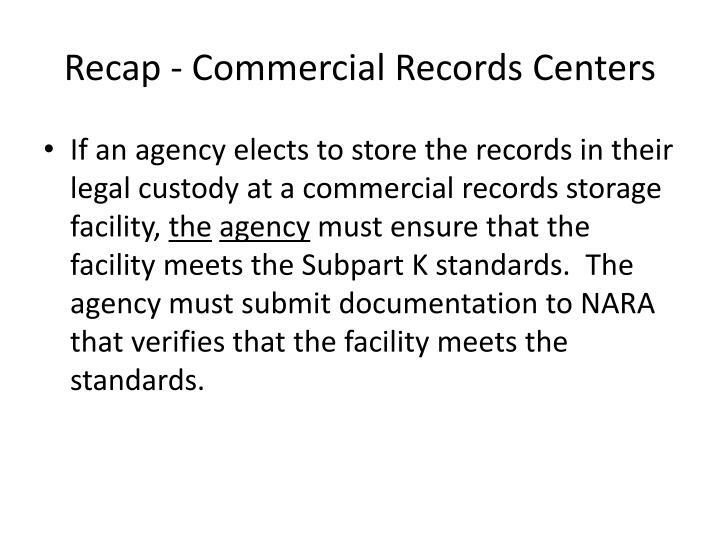 NARA will review documentation submitted by the agency to verify that the facility meets the requirements of Subpart K.
If an agency elects to store the records in their legal custody at a commercial records storage facility, theagency must ensure that the facility meets the Subpart K standards. 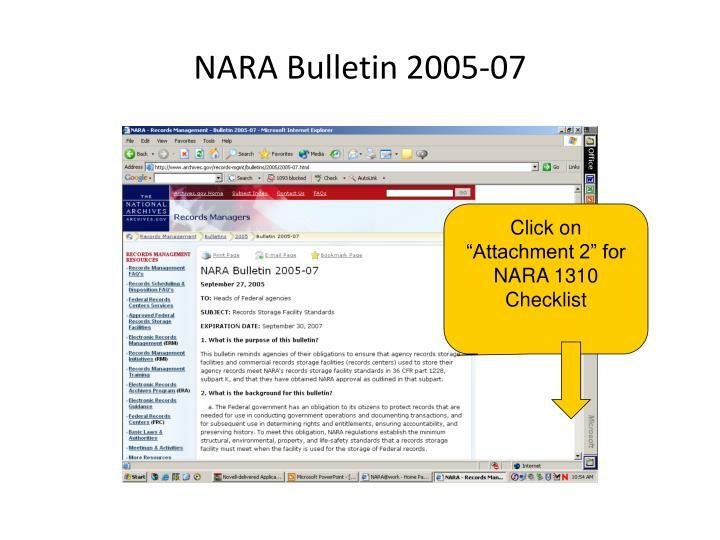 The agency must submit documentation to NARA that verifies that the facility meets the standards. 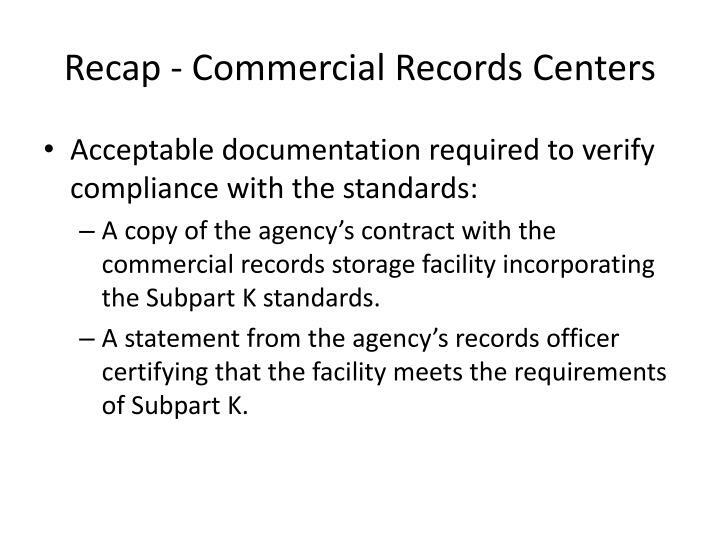 A copy of the agency’s contract with the commercial records storage facility incorporating the Subpart K standards. 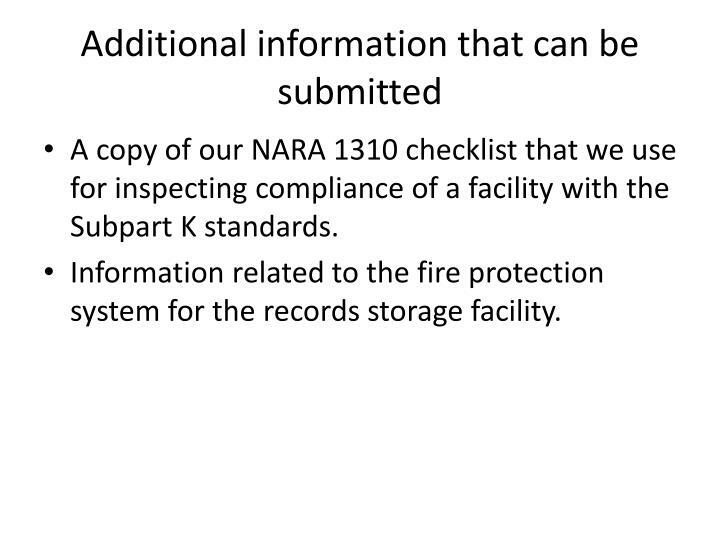 A statement from the agency’s records officer certifying that the facility meets the requirements of Subpart K.
A copy of our NARA 1310 checklist that we use for inspecting compliance of a facility with the Subpart K standards. 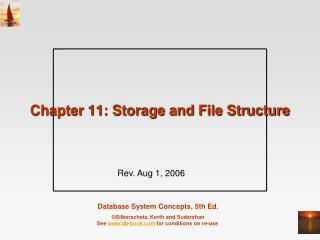 Information related to the fire protection system for the records storage facility. 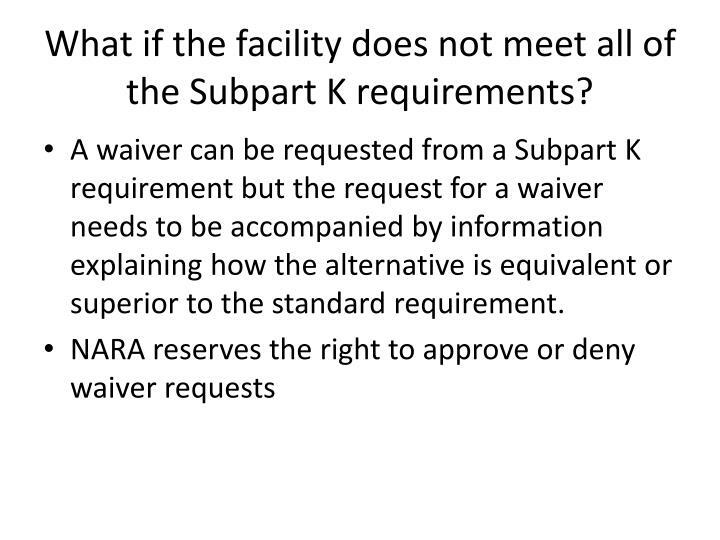 What if the facility does not meet all of the Subpart K requirements? A waiver can be requested from a Subpart K requirement but the request for a waiver needs to be accompanied by information explaining how the alternative is equivalent or superior to the standard requirement. 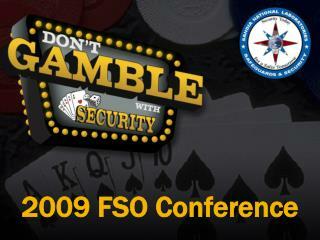 We are currently just under 2 years from the effective date for the standards. 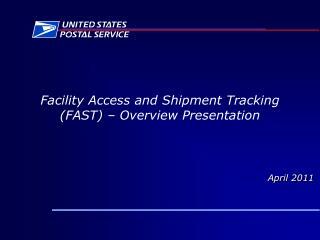 Through previous correspondence, we have identified where many of the federal records are stored. 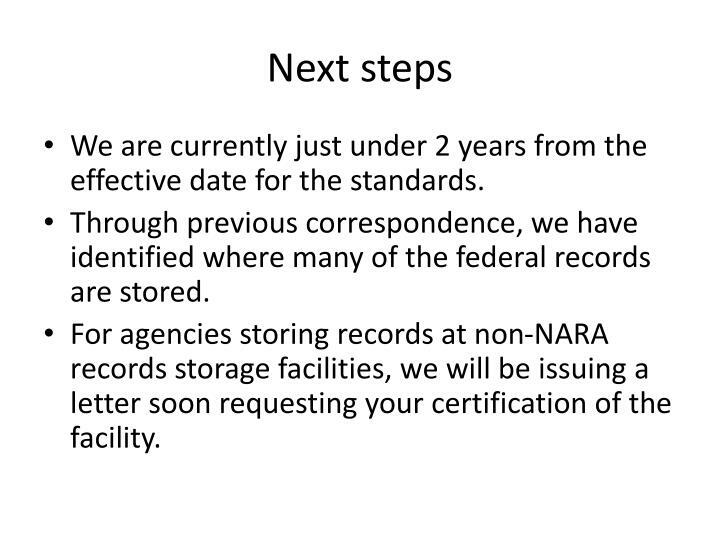 For agencies storing records at non-NARA records storage facilities, we will be issuing a letter soon requesting your certification of the facility.